Fellow Whovians! At long last, Season Ten is here! 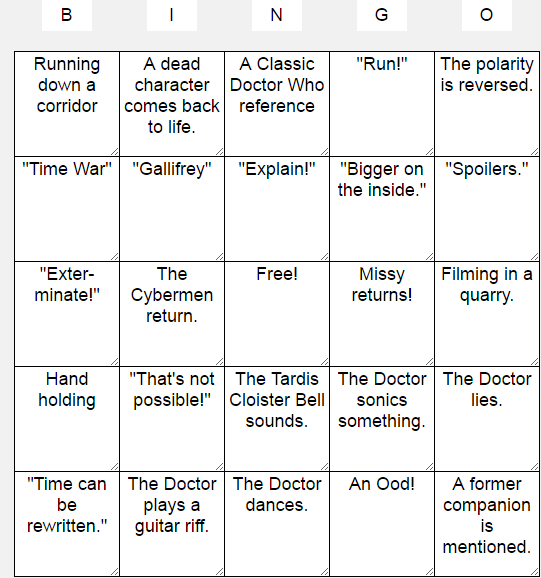 So — let’s play Doctor Who Bingo! I’ve got my Bingo card out, and I’m ready to Who!